Same-Day Baby Food Prep or Make-Ahead Baby Food Prep? Fortunately, it’s not hard to incorporate making baby food into your family mealtime routines or any time for that matter. Below are a few things to keep in mind before you get started. The answer? Whatever works best for you. In fact, preparing baby’s food can vary from one day to the next. 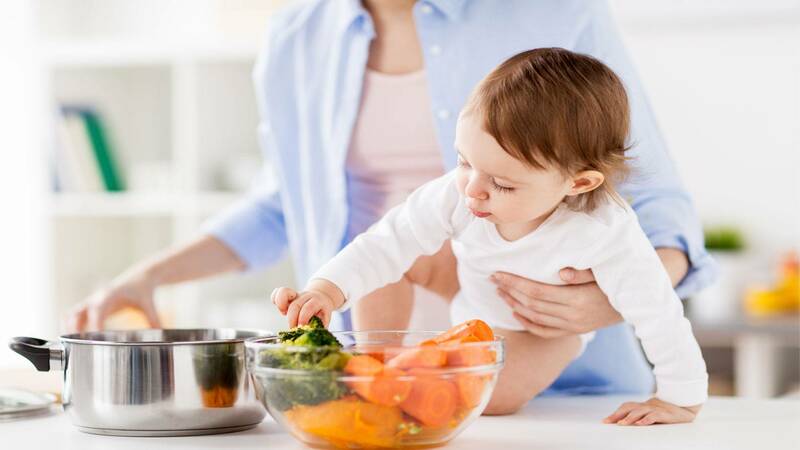 Many moms and dads who work outside of the home find cooking and preparing large batches of foods (often on the weekends) to be the most convenient way to prepare baby food. Parents who stay at home with their babies may find that same-day baby food prep is easier for them. Same-day or make-ahead baby food prep is not a one-or-the-other type of commitment. One week you may have time to prepare large batches of foods, and the next week you may just grab a banana and mash it as you go. Using a slow cooker will work beautifully with either of these methods of baby food preparation. If you are making a big pot of chicken stew, for example, you can feed baby some at mealtime and then set aside several portions to store in the refrigerator or to freeze for feeding later on. Read all about Pureeing and also Storing Slow Cooker Homemade Baby Foods to learn how easy it is!